Jina Keji, a brilliant twelve-year-old girl from South Sudan, is the primary caretaker of five younger siblings and a sickly grandmother. Three times a day, Jina makes a two-mile circuit to the local water source, a tepid, gray hole filled with unsanitary water. The groundwater hollow is the primary source of water for 3000 villagers. Jina’s daily trek to the water hole dominates her life. What happens when this young girl is suddenly provided with a fresh water well? How is her life transformed? 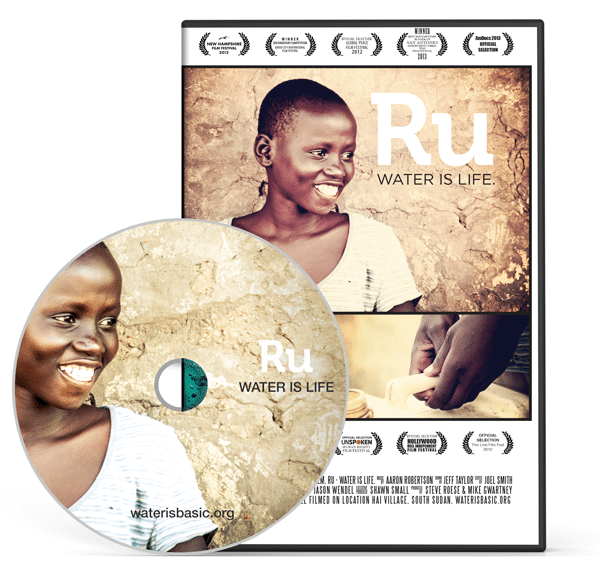 Ru (Water is Life in her local language) is the story about the strength, joy and resilience of the people of South Sudan, seen through the eyes of a young girl, who have somehow adapted to a nation plagued with fifty-six years of civil war. Two months after filming Ru, South Sudan became a free nation. The doors to bring fresh water to the world’s newest country are wide-open. For most in South Sudan, the trek for water is an arduous daily journey. For every Sudanese, water is life.